Abstract: Dolby has created projectors that that are dramatically broader in every respect. Dolby Cinema has a peak brightness today of 108 nits, and a contrast of a 1,000,000:1; which is substantially beyond the DCI projectors at 48 nits peak brightness and typically 2,000:1 contrast. Dolby Cinema also can go to 99% of Rec2020 color, compared to P3 on DCI at about 83% of Rec2020. Content must be created directly on these Dolby Cinema projectors, and they have been installed in a dozen high-end color grading facilities in the USA, China, England, Germany and New Zealand. For every film, the colorists who have graded the DCI projector also do the grading on the Dolby Cinema projector; so the creative work that the colorist has done on DCI is even better on the Dolby Cinema projector. In the future I expect that content creation will be done first in high dynamic range. There are two significant reasons for doing this: Doing the original grading in high dynamic range will have the creative team make better choices; they will see far more detail in the content, and can create better images. The second reason is that there will be a large range of displays in the future; and creating high dynamic range first, then using tools like Dolby Vision to map to these displays is the best way to have each of these look good, and allows the creative team to trim to each of these quickly. 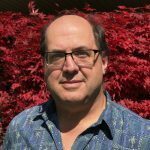 Bio: Beier worked as a computer graphics researcher for 10 years, then as a Visual Effects artist for another 10 years, finally as a Visual Effects Supervisor for 15 years. He has been at Dolby Laboratories since 2012, working with the scientists and engineers to ensure that Dolby Vision will be ideal for Hollywood studios.